Vagabond – Mya black suede pumps. 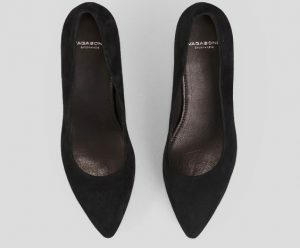 These pumps look updated because of the heavy block heel and the pointy toe. Black suede is great for autumn and winter. And paired with matt tights your legs will look longer. 559 dkk (was 799 dkk) here. A pair of black suede classic shaped pumps is the latest addition to group Mya. 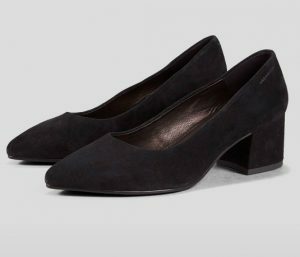 The block heel combined with the pointy toe makes them ideal for both the office and the party. Article number: 4619-240-20. Udgivet i 02. Footwear, 07. My wardrobe, 11. Dresscodes og tagget my 'mores', Vagabond.